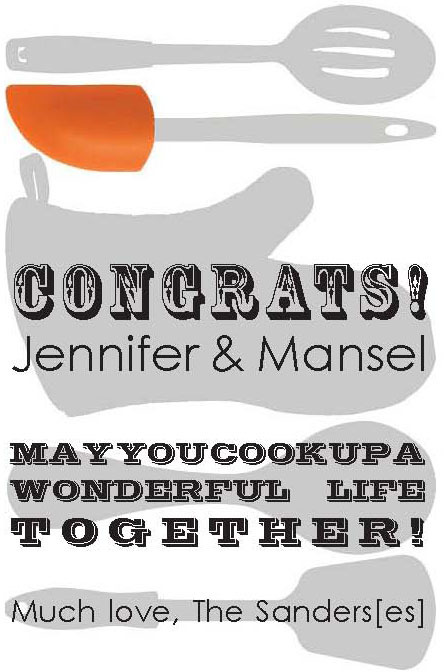 Our friends Jennifer & Mansel just moved in to a new house AND got engaged, so I wanted to give them a little something as a Congratulations! And because I was so excited about the card and wrapping, I thought I'd share! By the way, Jen calls us the "Sanderes", which is why I threw that in there... she loved it! Also, they were registered at Target, and although I knew that I wanted to get their kitchen utensils, I couldn't settle on how to wrap them. So in the end, I found this orange pail in the discount section at the front of the store for $2.50! That's cheaper than a gift bag! I had the white tissue paper at home, and I had already printed the card, so the pail matched the orange spatula! 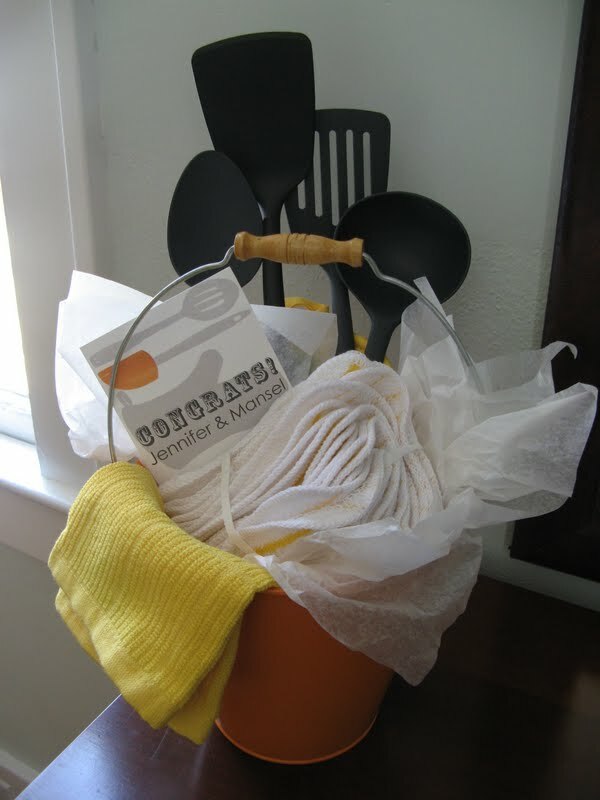 Not only that, but they actually registered for an orange spatula, although I didn't buy it... the all black seemed to go better with my 'theme'! So everything I did purchase was on the registry, including the towels & pot holder. I think I was more excited about the wrapping job, than I was about the actual gift!